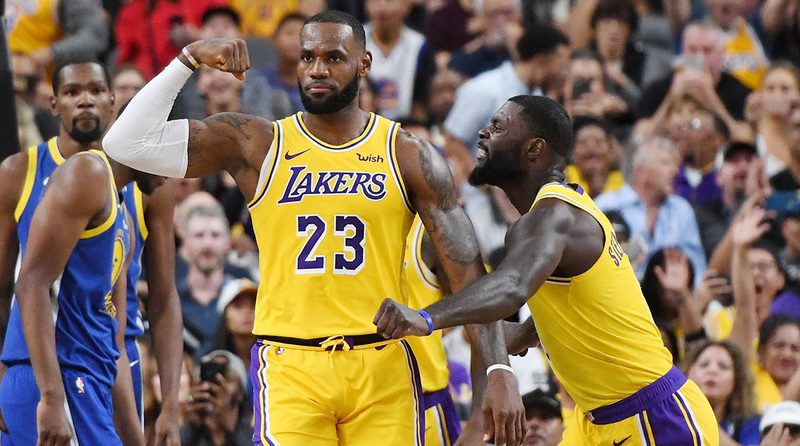 Will LeBron James’s Lakers Be Anything More Than a Spectacle? He’s done it in Cleveland. He’s done it in Miami. 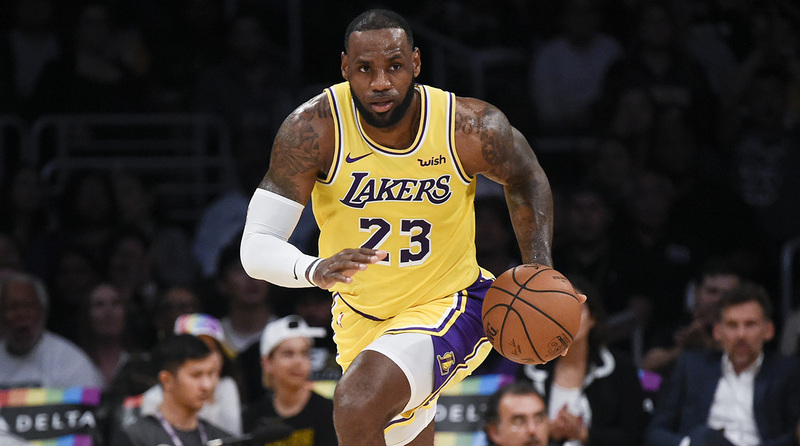 Now LeBron James will try to win yet another title after making a high-profile move, this time to Los Angeles, where the King’s court is a fascinating mix of innocence and experience—and where the fan base demands banners. This story appears in the October 22, 2018, issue of Sports Illustrated. For more great storytelling and in-depth analysis, subscribe to the magazine—and get up to 94% off the cover price. Click here for more. The first time LeBron James left Cleveland, the shadow of his messy divorce lingered for nearly two years, until he claimed his first title and began winning back observers who felt his 2010 departure to Miami had been a tacky shortcut. This time, the NBA’s best player appeared determined to learn from his missteps, to start fresh without burned jerseys and comic sans screeds. Indeed, almost every aspect of his July signing with the Lakers stood in contrast to 2010. Instead of announcing the Decision on an overlong television broadcast, James issued a terse press release. Instead of proclaiming a coming dynasty in front of his new raucous fans, he jetted off to Europe and didn’t make a public appearance in Los Angeles for more than two months. Instead of incurring accusations of treason from Dan Gilbert, the Cavaliers’ owner promised to hold a jersey retirement ceremony. James’s exit even came with a stunning parting gift: the I Promise Academy, an Akron public school for at-risk students. Once the huge Nike mural in downtown Cleveland came down, the amicable split was complete. Meanwhile, Lakers fans who had spent the last decade insisting that Kobe Bryant was a superior player to James were suddenly forced to rethink their allegiances: In L.A., a pair of murals featuring LeBron’s likeness were defaced. Then it was the local media’s turn to agitate. James was asked how he planned to earn the “loyalty and respect” of those who harbored mixed feelings about his arrival. “Who me? Me? Huh?” he muttered, eyes wide. “I signed a four-year deal. How much more do you want?” Soon after, he was asked about his longstanding habit of wearing number 6, rather than 23, on his practice jersey. “I’m starting to figure out a lot of you guys are just not recognizing who I am,” he said. In Cleveland, of course, everyone knew the King James bible. If he sometimes found the quality of the L.A. reporters lacking, James had to be impressed, or at least bemused, by their quantity. More than 200 showed up to a standing-room only media day, more than 100 were in San Diego for his preseason debut and dozens squeezed around his locker room stall after his first home game at Staples Center, briefly blocking access to the showers. The unpredictable welcome and chaotic scene raised the question: Will James’s Lakers be anything more than a spectacle? 2018-19 NBA Entertainment Rankings: Warriors or Lakers at No. 1? 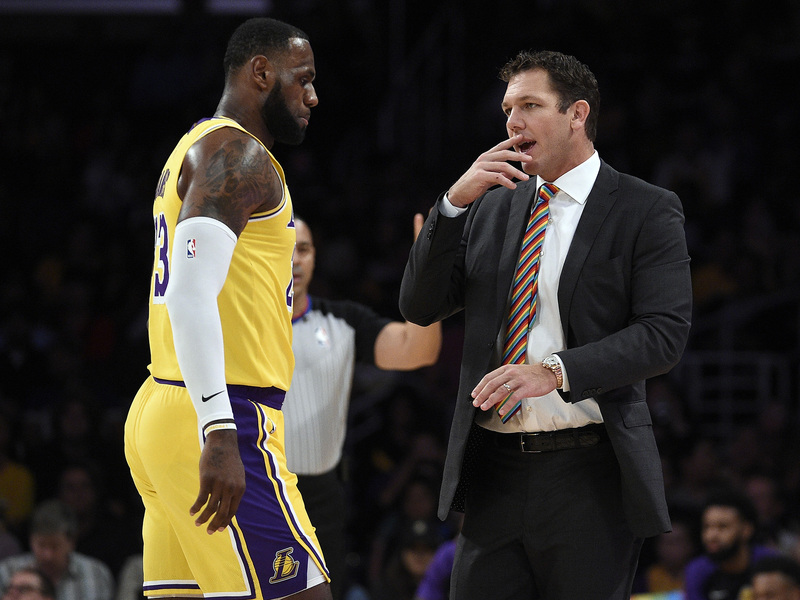 Luke Walton understands fame, L.A. and basketball played at the highest level, but as camp opened the third-year Lakers coach admitted that he was still feeling out his new franchise player. James and Walton were both drafted in 2003—the former first, the latter going 32nd—but their paths seldom crossed. Walton, the son of Hall of Famer Bill Walton, spent the bulk of his 10-year career as a second-unit glue guy for Phil Jackson’s Lakers. It’s too simplistic to typecast Walton, 38, as a laid-back San Diego surfer, but his personality makes him a far cry from the last two coaches to welcome James after free-agency moves. Miami’s Erik Spoelstra was tightly wound; Cleveland’s David Blatt was insecure about his lack of NBA credentials. Throughout camp, Walton wore a limited-edition pair of James’s signature Nike sneakers—a collaboration with designer John Elliott—that go for more than $400 at online resellers. Few NBA coaches rock that type of heat, and many would feel uncomfortable doing so with James on their roster. Spoelstra succeeded in earning and maintaining James’s trust; Blatt did not. The Heat smartly rejiggered their offense to increase the spacing and shooting around James. Blatt faltered in moments of duress, such as one memorable 2015 second-round playoff game against the Bulls in which he tried to call a timeout he didn’t have, then had James overrule his play call on the final possession. The Lakers’ plans are more intelligible than their roster. After missing out on George and Leonard, Los Angeles pivoted to a series of one-year contracts for veterans: point guard Rajon Rondo, shooting guard Lance Stephenson, small forward Michael Beasley and center JaVale McGee. The quartet has been dubbed the Meme Team, given its propensity for on-court antics, erratic behavior and flashes of brilliance. Johnson rejected the notion that James’s supporting cast carries too many red flags. “Some guys had different things happen in their past,” he says. “So what? 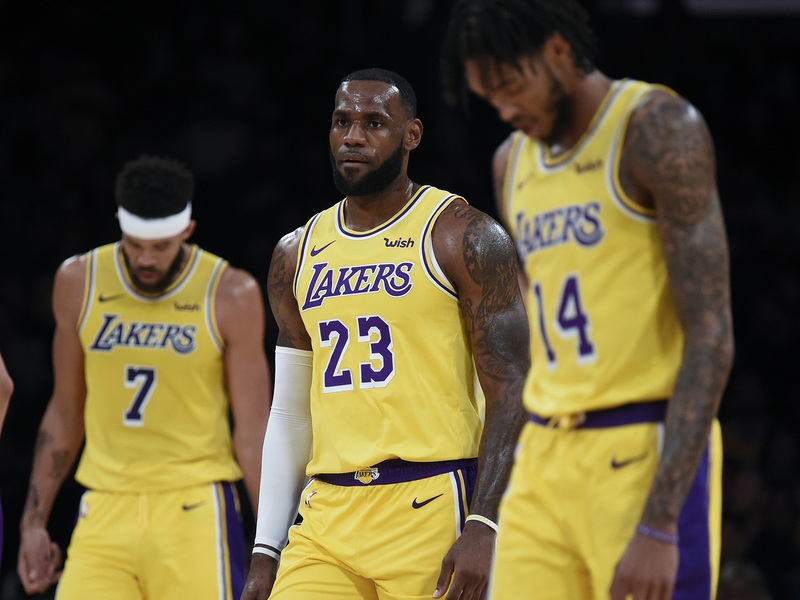 We needed some grittiness and toughness, and somebody to be upset when we have a defensive lapse.” Left unsaid: L.A.’s approach also ensured maximum cap flexibility for next summer. Among the newcomers Rondo, 32, has sparked the highest hopes, given his high basketball IQ, his distributing and his ability to serve as a mentor for second-year point guard Lonzo Ball. Walton’s vision will require James, Rondo and Ball to establish a breakneck pace and generate high-quality looks early in the clock. L.A. wants to go deeper into its bench than the average team, hoping that its three lead playmakers—who all averaged more than seven assists per game last year—can apply constant pressure on opponents. L.A.’s downsizing experiment produced delicious moments and occasional debacles in the preseason. Hart, a 6' 5" shooting guard, found himself setting screens in pick-and-rolls as a nominal power forward. “You see me get my big man on? I might have to start at the five,” he joked later. The small lineups with Kuzma at the center were punished by Nuggets big man Nikola Jokic, though, raising questions about the Lakers’ ability to get by without reinforcements. Tidy and forceful words, but also a sign that James knows his change of address won’t buy him any leeway from critics come April. A quick exit in the first round would renew bloviating about the motivations driving his decision and how his résumé was padded during all those years in the East. A lottery trip would be a catastrophe, and it might spell the end of his reign as the consensus best player in basketball. Reaching that goal will require continued growth from the 21-year-old Ingram, who has emerged as an early favorite of James’s. The two players’ lockers are adjacent, and James has made a point to coax laughter from his quiet teammate after games, fawning over his outfits and hyping his potential within earshot of reporters. Ball, who spent most of camp recovering from left knee surgery, will be another x-factor. The Lakers are optimistic about his jumper, which looks a bit smoother than last year, and they think he can shift into a complementary role thanks to his unselfishness and instincts. As the season approached, James remained circumspect, preferring to let his play do the talking. In San Diego he was greeted by a warm standing ovation. In L.A. he drew cheers and “M-V-P!” chants as he raced upcourt for a dunk and then keyed a nifty bang-bang-bang passing sequence in transition. With those highlights he inched towards firmer common ground with his new fan base. Both sides are accustomed to greatness, both are sick of the Warriors, and both are savvy enough to realize that a fifth MVP season for James would be the surest method for restoring the Lakers’ glory. Many things have changed since his moves in 2010 and ’14, but one big thing remains the same: James has cast himself as the savior, and he has an audience that expects him to deliver.